Most users ever online was 297, 05-07-2006 at 10:59 AM. Thank you for visiting our Web Site! We have information about our upcoming events, what's new with issues facing Maine Geocachers and the geocaching community, who we are and what we do, and a resource section that will grow with time to provide you with everything you need to know about Geocaching! To continue bringing delight to those who find them, geocaches require ongoing love, care and maintenance. For geocache owners, this can mean replacing a logbook, restocking swag or sometimes even swapping in a whole new container (gasp!). But never fear. Now you can retire your old geocache containers in style! They may not work as protection for your logbooks any longer, but that doesn't mean they can't be "upcycled" in creative ways. 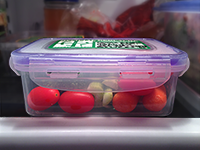 Check out these six ways to reuse some of the most common geocache containers. Then, check to see if your geocache needs maintenance. No one likes a soggy logbook! As a geocacher, evil nanos, tricky puzzles and even fake spiders may no longer surprise you. 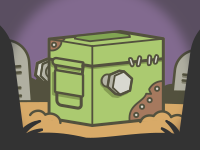 That’s why we’ve created a list of the world’s spookiest geocaches — geocaches guaranteed to make you shriek, shudder and have a frighteningly good time. What’s the most frightening geocache you’ve found? Share your most terrifying tales on the Geocaching Facebook page. Hier kannst Du den Artikel auf Deutsch lesen. GIFF Weekend is right around the corner. Your popcorn is popped and your cell phone is off — but where do you go to see the films? 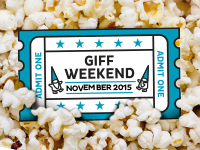 Check out this bookmark list to find a registered GIFF Weekend Event near you. And added bonus: By attending a GIFF Weekend Event on November 5-8, you’ll not only see the magic of geocaching brought to the big (or small) screen, you’ll also earn a special GIFF Weekend souvenir. Words, words, words, who needs them when you’re staring at a fresh-out-of-the-oven video about How to Hide a Geocache?Check out the new video from Geocaching HQ that’s full of easy-to-use ideas and tips for placing a well-loved geocache. The payoff for the maker (you?) of a cleverly hidden geocache comes from “Found it!” logs containing heaps of praise for the inspirational adventure and lifelong memories. Well done! Quick check: Still reading? Haven’t watched this video yet? Okay, here are some more words. After the success of Geocaching Maker Madness, with nearly 1000 events around the world, Geocaching HQ wants to set you up for success with this new How to Hide a Geocache video. Need a little more inspiration? Check out this Geocaching blog post, with ideas to create a geocache that keeps people talking. Okay, and last chance, Watch. The. New. Hider. Video. And then share your ideas for great hides on the Geocaching Facebook page. Here is a small clip I came across talking about EarthCaching. Look and see our very own Geoware in the video. Registered members can see their local weather forcast here.